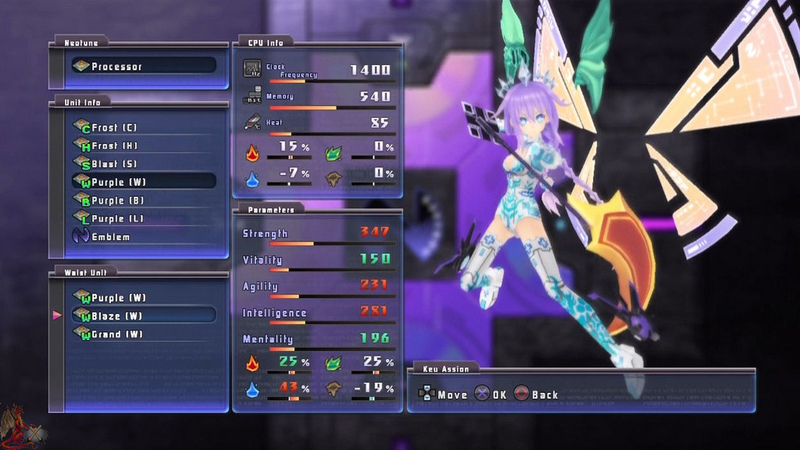 Hyperdimension Neptunia is an all new PS3 RPG by Idea Factory. 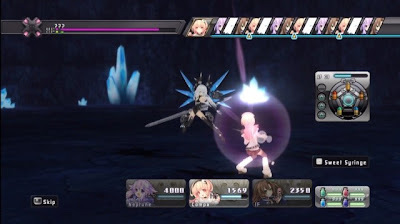 Players will take on the role of a young goddess named Neptune. She is a personified video game console who will fight against the evil goddess, a personified version of a video game piracy device. During battle Neptune will fight in her human form or her battle goddess mode which changes her appearance, stats, and personality. Much like a computer Neptune and her fellow goddesses can be customized by finding and creating new parts. Hyperdimension Neptunia is another game with an interesting idea that is bogged down with dozens of frustrating issues. The Art styling very well done as expected in this types of games nowadays. There is plenty of fan service to be found with so many references that there is very little original story. Ideally the story had potential to be very interesting, but it was never pushed in any direction, causing the game to feel like a constant circle. Customizing your CPU is fun but outside of that the gameplay is rather shallow. One of my major issues came with healing which was impossible to do outside of combat, and even within combat the process is overly tedious. Factor in a completely awful musical score and this game will drive any casual players away. There is plenty of voice work to be heard, but like most recent games under NIS America’s belt, it only serves to annoy and anger. While many may be attracted because of ½ naked women, be aware it is very hard to tell how old they are, my guess is around 15…so don’t be that creepy guy. Finally is the dungeon crawling which is so empty and boring that it will make you want to taste a bullet. 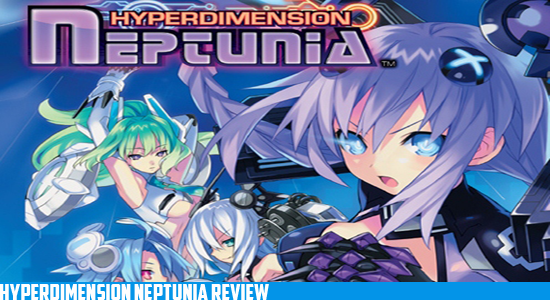 Hyperdimension Neptunia is not the worst game in the world, but it will only appeal to a very patient few. The constant lack of story and anime references will definitely drive a mass amount of gamers away. My only suggestion is to wait to play this game until it greatly decreases in price; there is no need to waste 50-60 dollars.